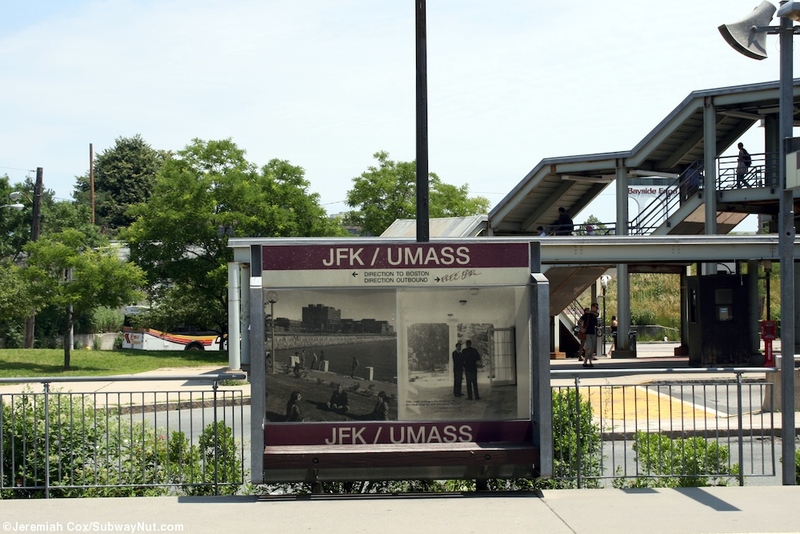 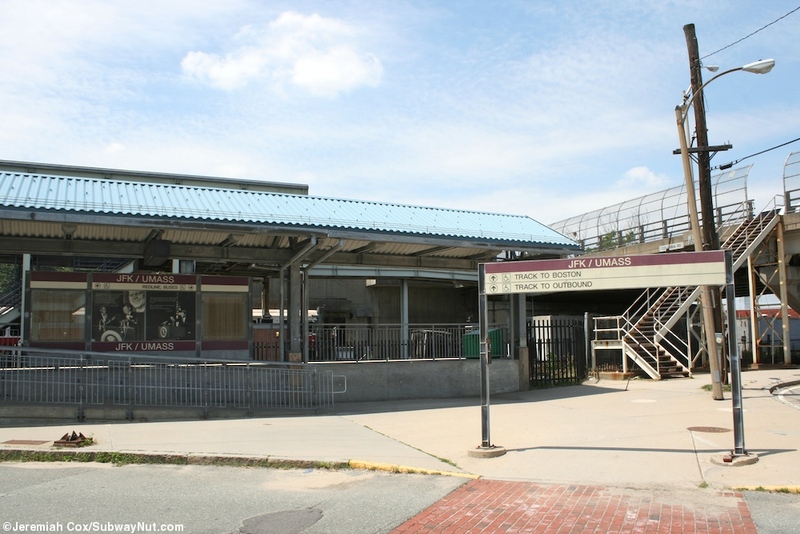 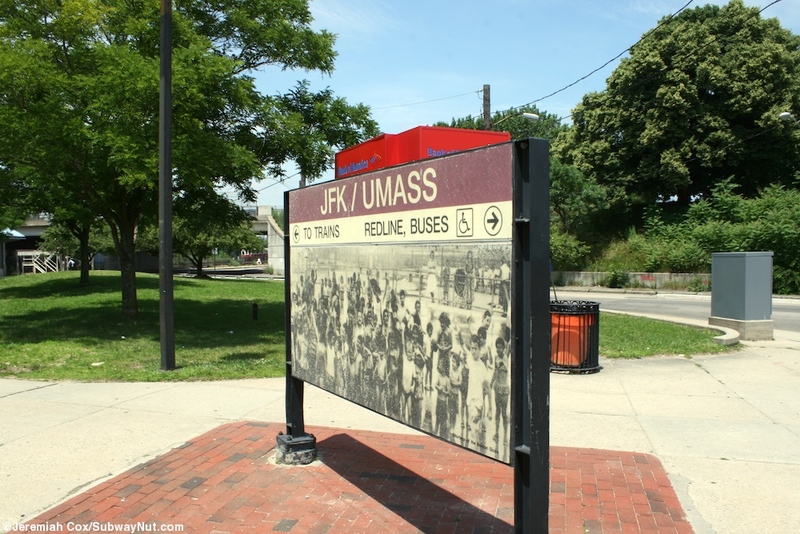 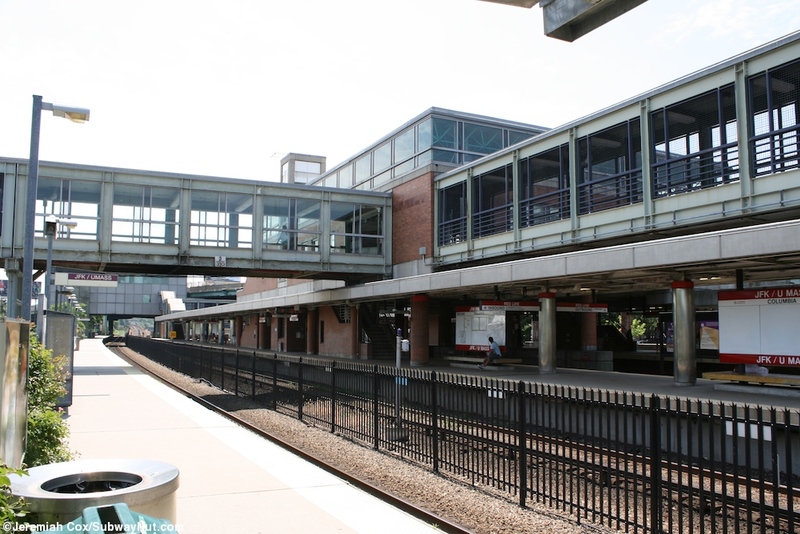 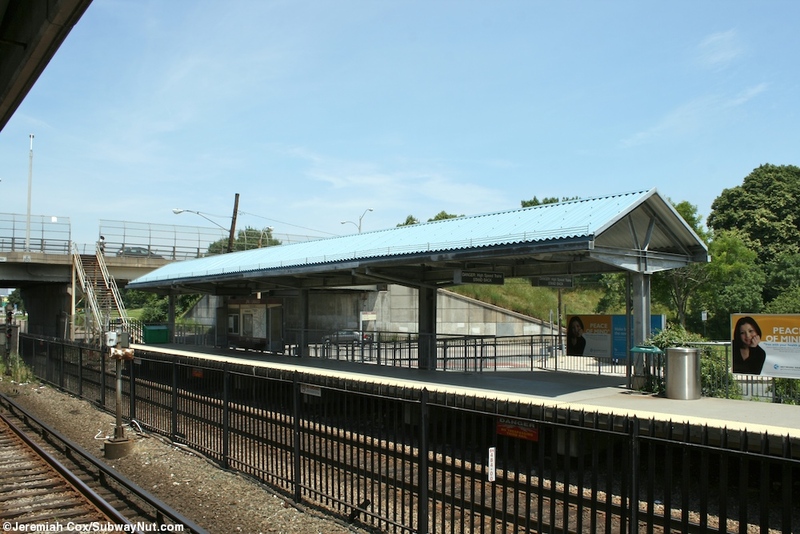 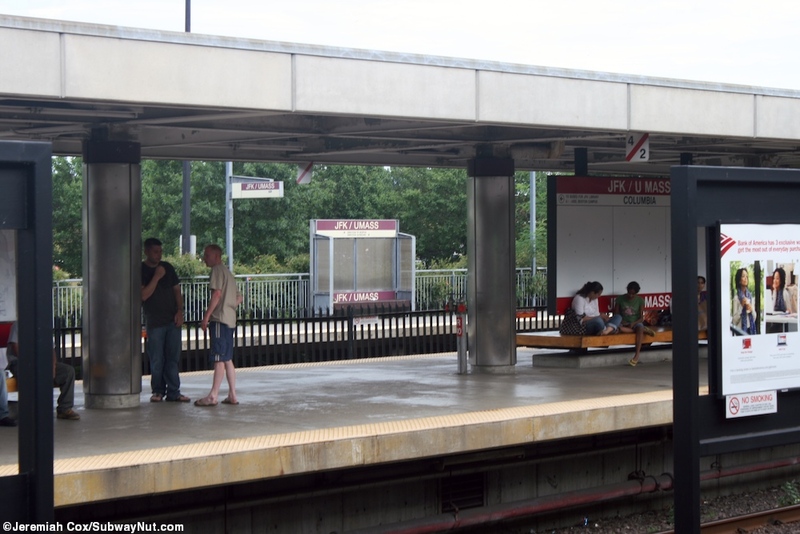 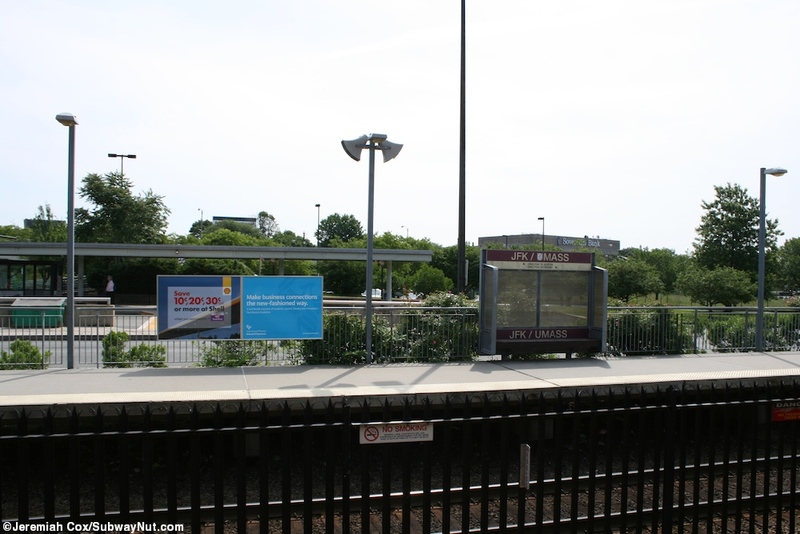 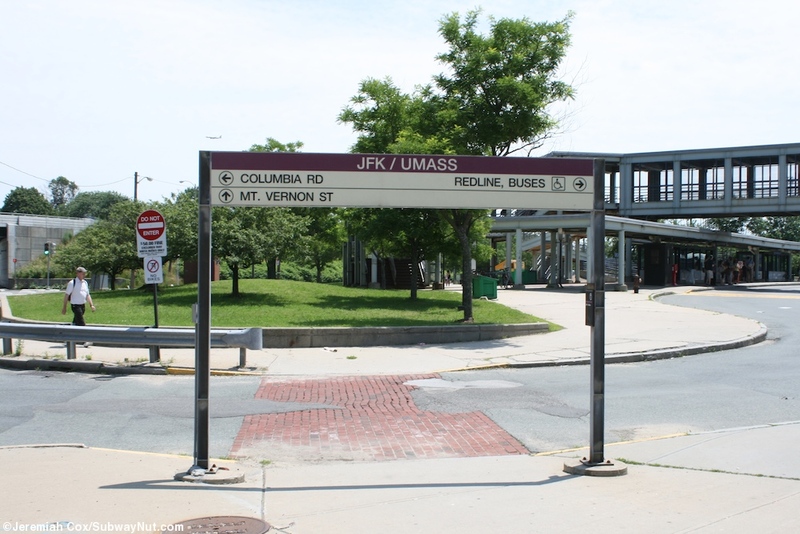 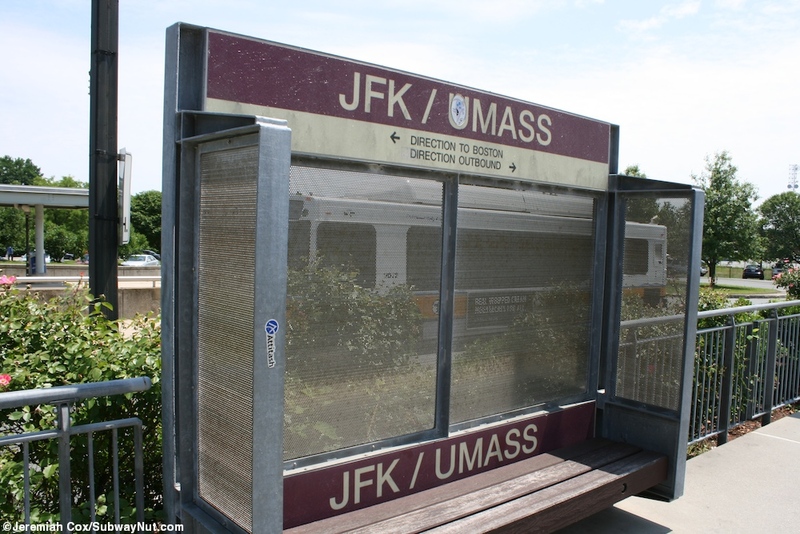 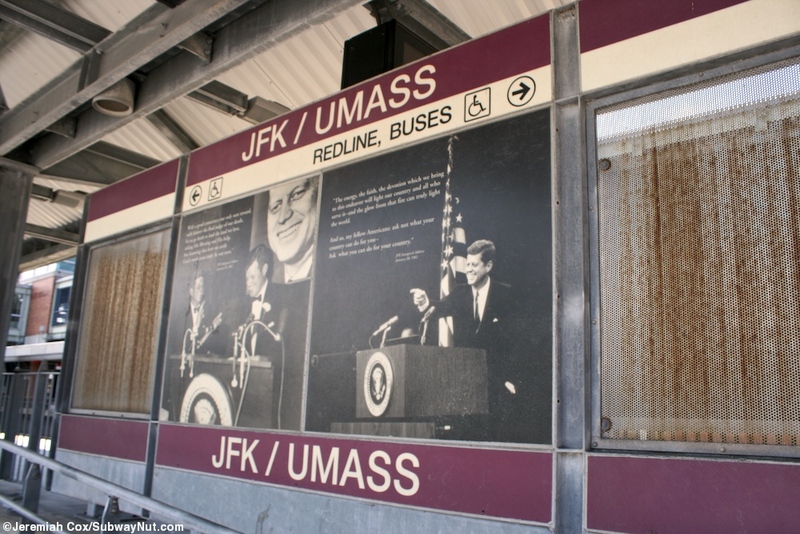 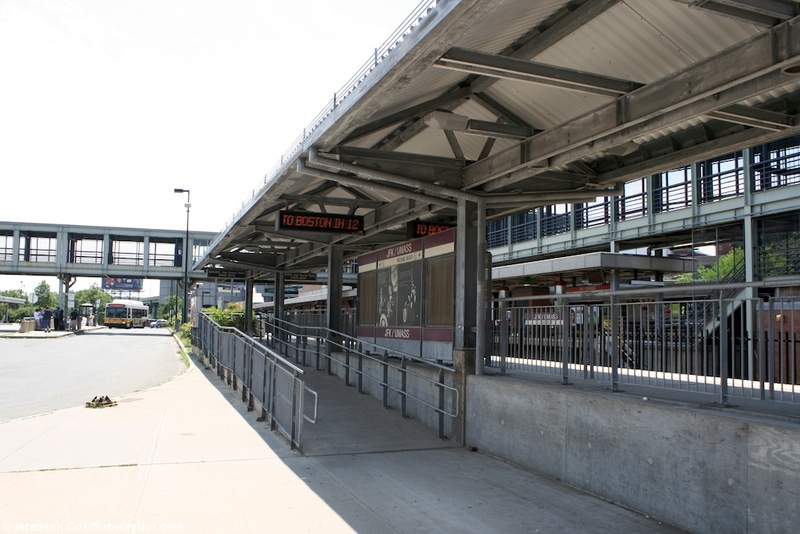 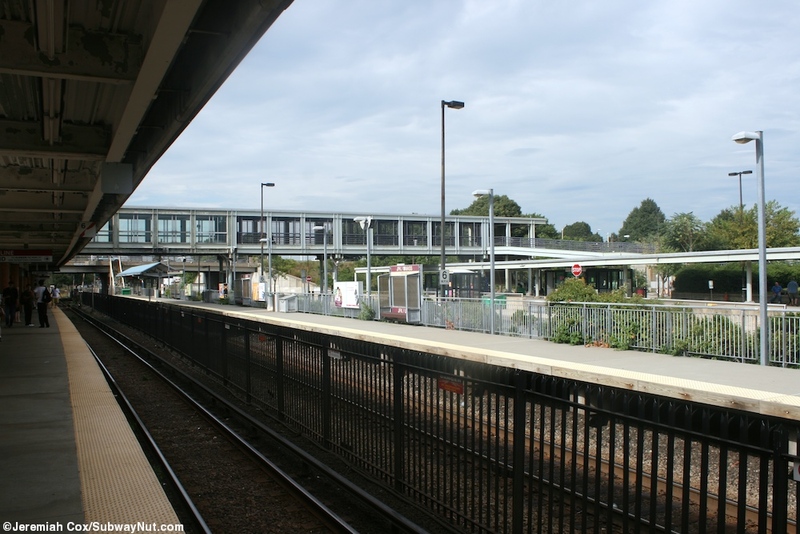 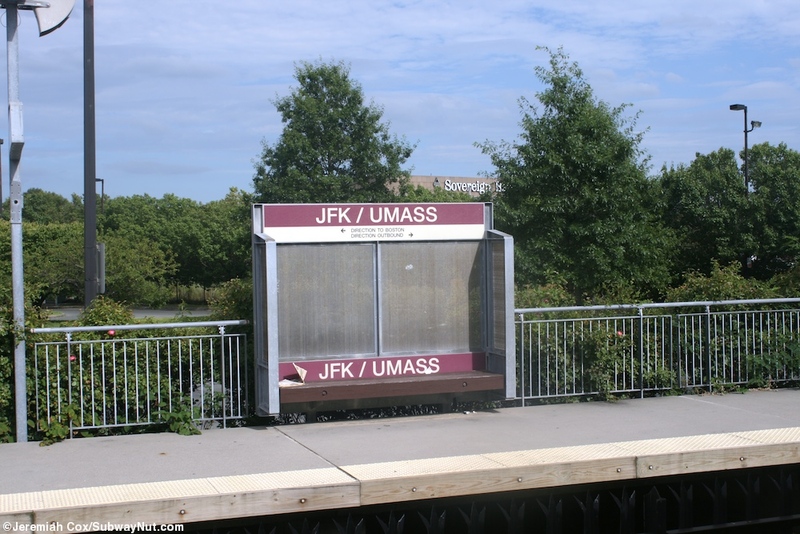 The JFK/UMass Commuter Rail Station is located just alongside to the east of the 4 tracks and two island platforms of the red line subway station. 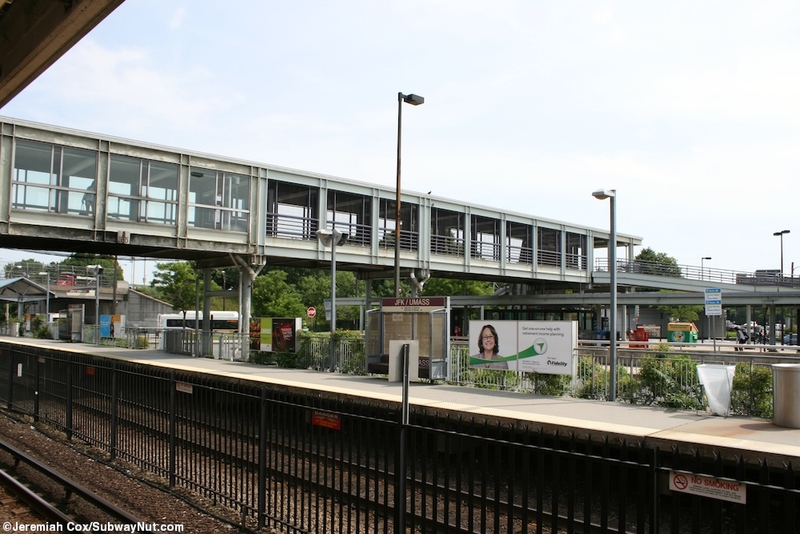 The line here is single tracked so the single high platform is here and faces the inbound Braintree track at. 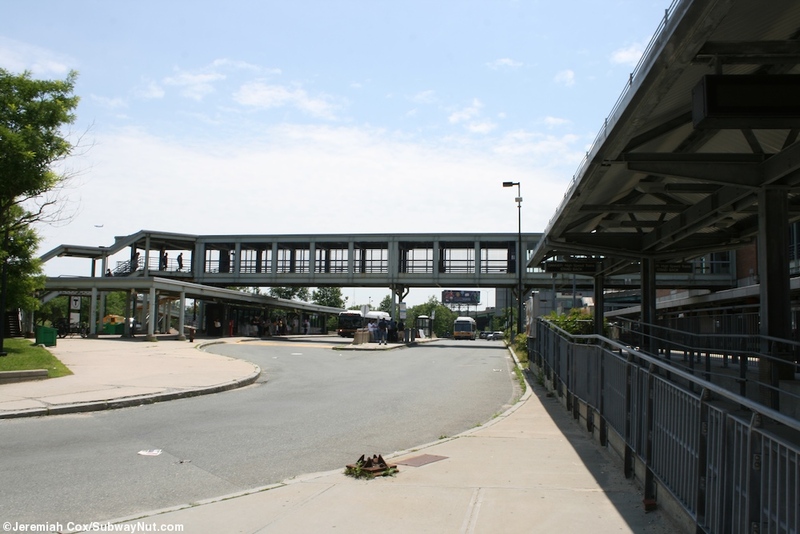 The platform is between the subway tracks and the stations large bus loop. 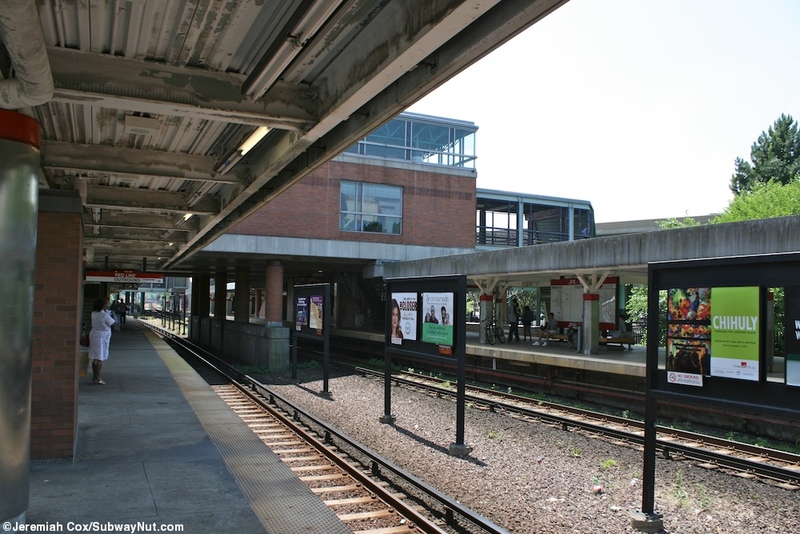 Although there are 3 overpasses over the tracks here (one a station entrance pedestrian bridge, one a road, and the third a built over non-public office space) the platform has limited access, only via a small ramp at its northern end just beyond Columbia Road's overpass. 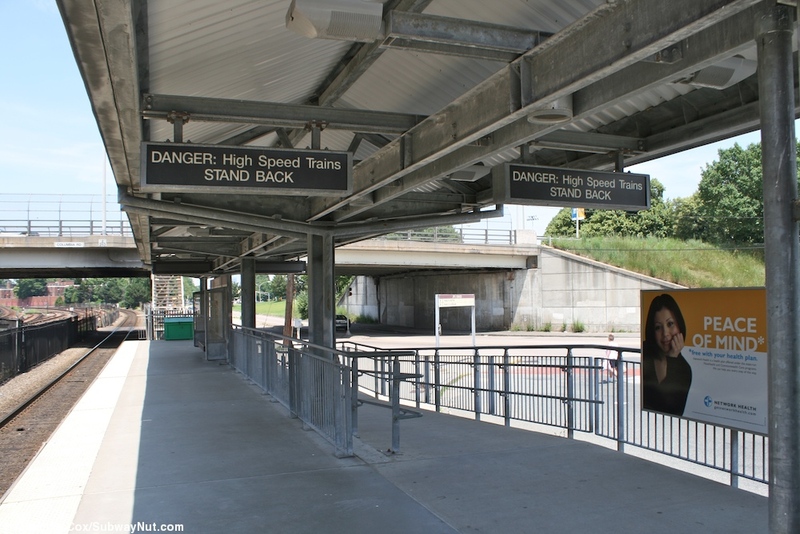 A small portion of the platform is canopied and there are some windscreened partially enclosed benches.